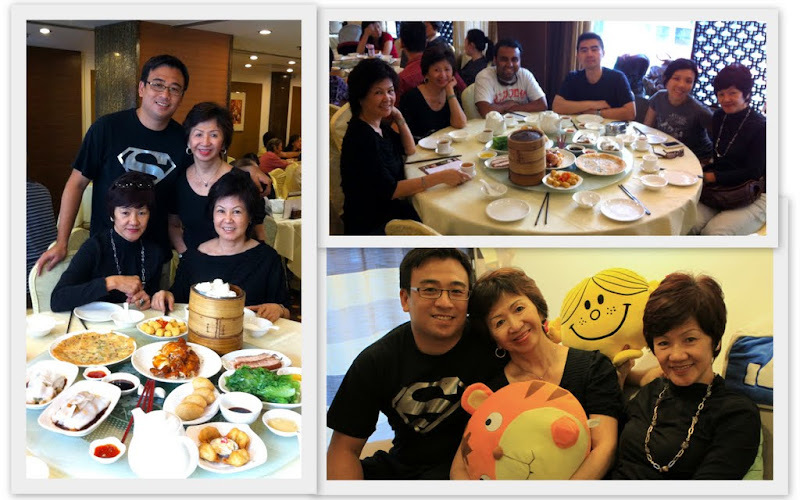 Mum’s Birthday Trip – Eat, Play, Laugh! It is an unusual weekend for me. 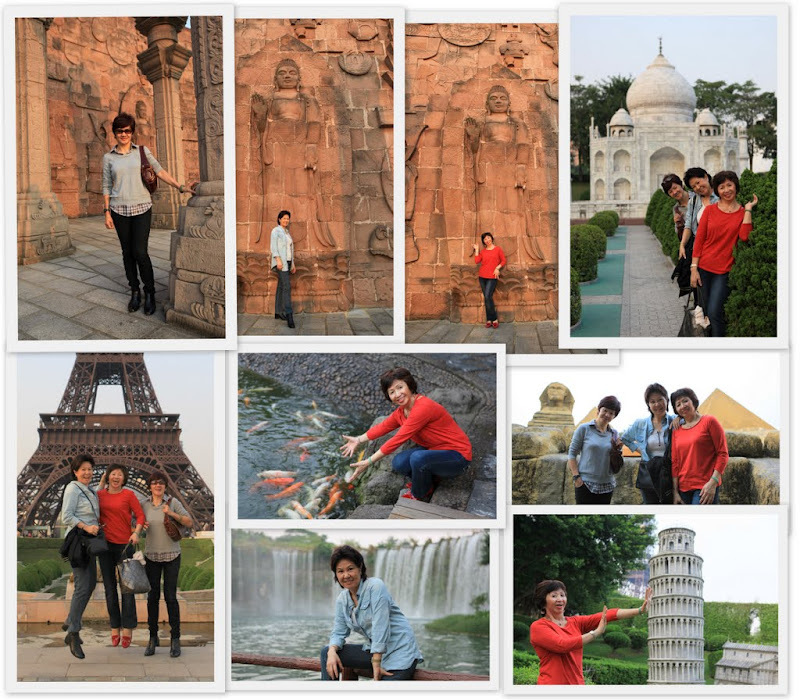 3 days, 3 cities with 3 hyper-active aunties ladies. It is quite an awesome short holiday. 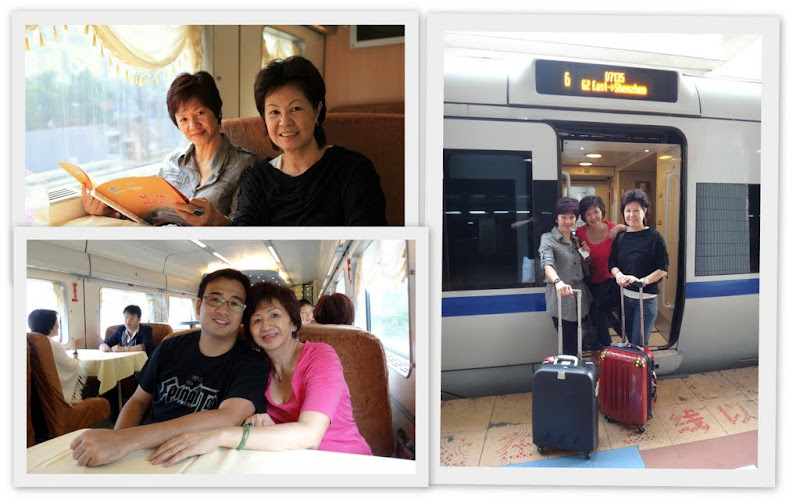 Thanks to my lucky Auntie Amy – she won a pair of air tickets to Hong Kong and invited both my mum and her friend “Auntie Diana” (my 130th HK Visitor) over this weekend. 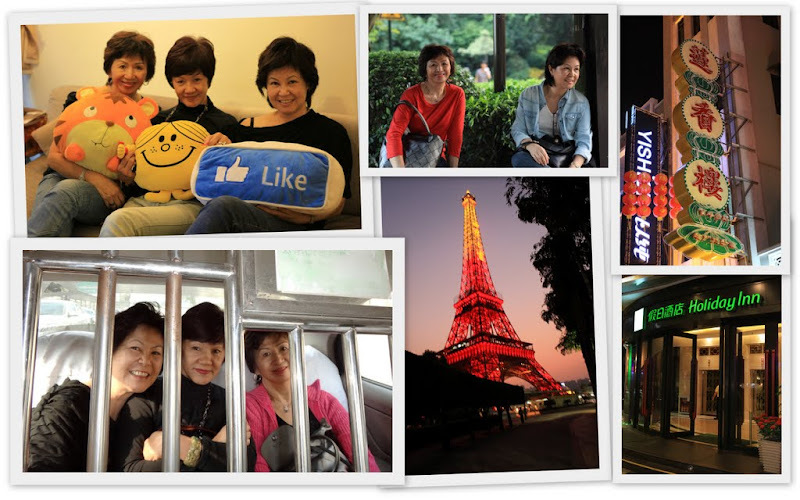 Auntie Amy and mum have been to Hong Kong many times and they wanted to experience something different. So I suggested a quick-tour to Shenzhen and Guangzhou. It was also my mum’s 63rd Birthday. 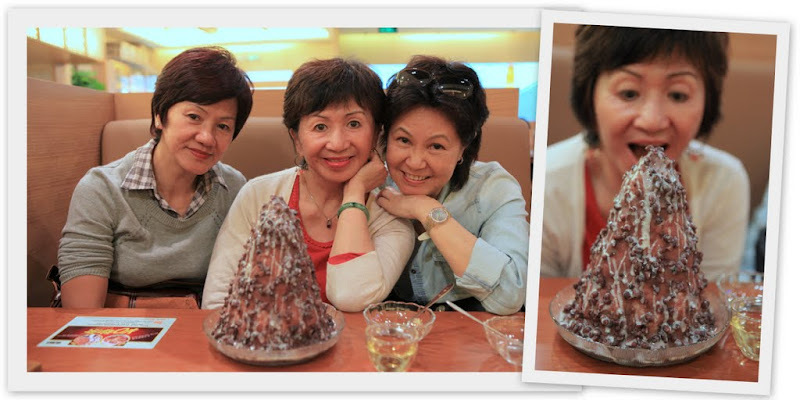 Mum got herself a giant “ice-kacang cake”. It has been over 5 years since I celebrated her birthday with her. Boy, I was so happy to be able to spend her actual birthday with her in China. It was a short but very enjoyable (and tiring) trip. As usual, Auntie Amy greeted me with the same old irritating punchline “You are getting fat again!” Empress Mum commanded and bossed me around. I was her exclusive porter for 3 days. But it was all fun! 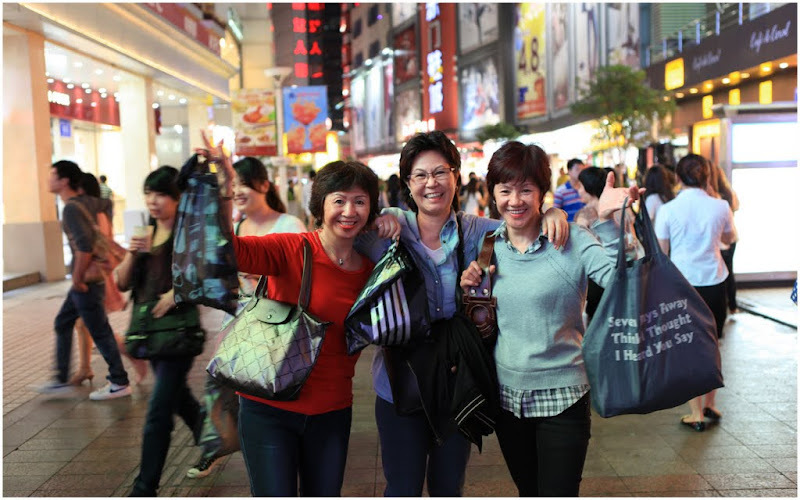 These ladies can really walk, shop and eat! From 7am to 2am, they were super high on energy! Can’t believe I was the quietest one in this trip. This is one trip when I discovered new things about my old folks. Auntie Amy and mum were exceptionally mischievous and full of pranks. No wonder I see the similarities in Elkan. Mischief is always in the blood. (And it skipped a generation – no lah, I didn’t get their genes). Mum was making comical moves and faces in all photo shoots. And Auntie Amy was full of surprises and actions! Out of the blue, she stood on a giant swing and swung standing! And not to mention those hilarious candid “R-rated” jokes they cracked throughout the trip! Simply incredible! Really these aren’t ordinary “aunties”. It is so cool to have such modern, adventurous and spontaneous folks.